JARO can custom make all types of bed heads including diamond tufted, soft & blind buttoned. Robyn and Jason would like to invite you to make a time to visit our fabric showroom to design your very own designer bed head (bases also available if required). 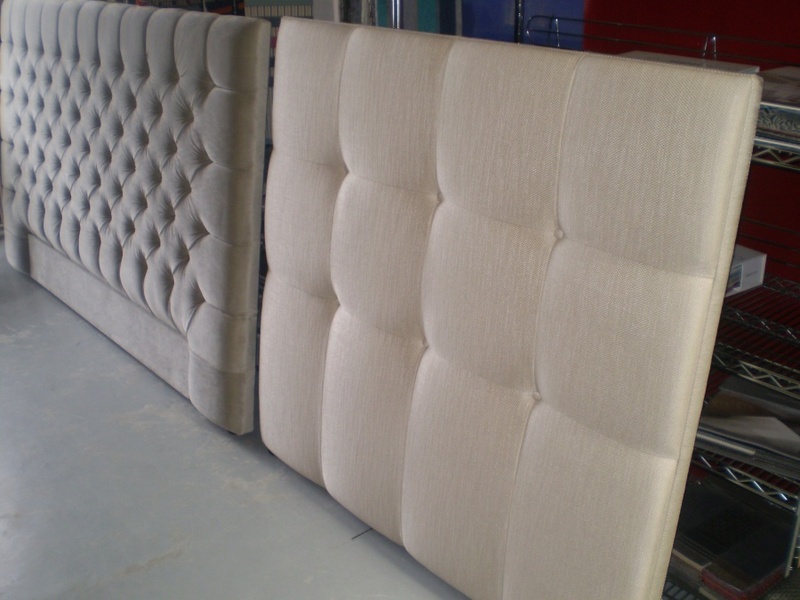 JARO Upholstery can custom make all types of bed heads including diamond tufted, soft or blind buttons, studded, winged, panelled, shaped and so many more. JARO has a fantastic fabric & leather selection including rustic leather to patterned fabrics. Bed heads can either go to the floor with legs or no legs and are also available as headboards for wall mounting. JARO can also custom make upholstered bases with solid slats to match your bed head. Australian made beds made to last! If you already have a picture of something you would like made up or a previous quote please feel free to email to enquiries@jaro-upholstery.com.au for a free no obligation competitive quote.